The postal department has entered into a partnership with state-run telecom company BSNL to provide money order service using mobile phones. NEW DELHI: The postal department has entered into a partnership with state-run telecom company BSNL to provide money order service using mobile phones. 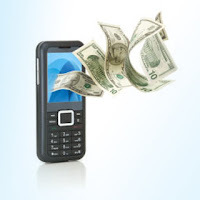 "The Department has signed an agreement with BSNL for providing money remittance throughmobile phones," Department of Posts (DoP) said in an official statement today. As per the pact, BSNL has been provided with the requirements of DoP for development of the software. A DoP spokesperson said the software development is going on and rollout of the pilot is expected in August-September 2012. Initially, a pilot of the service will run for a period of 6 months in Punjab, Bihar, Delhi and Kerala Circles, the statement said. As per the spokesperson, DoP will give commission to BSNL for each remittance made and the commission will vary on the amount transferred. Under this facility, receiver of the money will get SMS for transaction and initially get cash at the nearest authorised post office by showing the message, the spokesperson said.